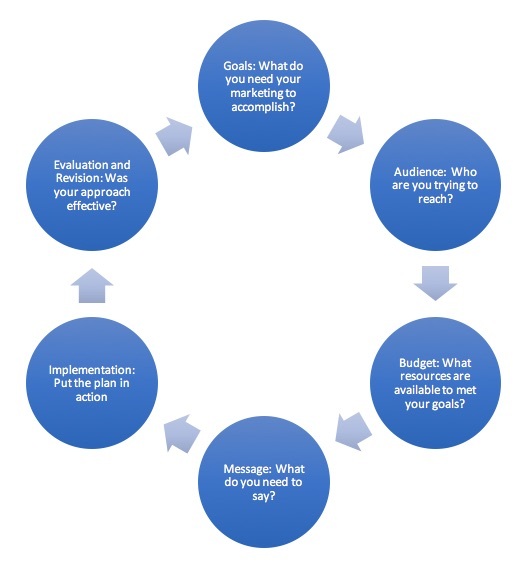 When developing a marketing plan or advertising campaign, the marketing team has tools and team members available to help you set goals, define your audience, identify budget resources, craft and distribute your message and report on results. A creative brief is the guiding document that defines the scope of your campaign and the work that you need to have done. It sets goals, timelines and metrics. It puts parameters around the work to protect your project — and budget — from scope creep. It also gives project partners, such as Creative Services, clear expectations and deadlines for material. As a standard industry practice, creative briefs are part of the marketing process. Download the U of I creative brief template. Identifying who you are trying to reach with your marketing message is an important step to create an effective marketing plan. Different types of people can be best reached in different spaces, and one single strategy will not work for all groups or messages. The marketing team assists with selecting the right audience for your message as well as the right message for your audience. These audiences have varying needs and relationships with the university. Learn more about what these audiences want based on our research. Once a campaign is launched, it requires ongoing evaluation and revision to promote what works and discontinue what doesn’t. Identifying key performance indicators, or KPIs, before your campaign launches defines success and establishes parameters to quickly evaluate how your campaign is performing. Typical KPIs include website bounce rates, navigation reports or conversion reports that provide data such as the flow of visitors through a form, completion or yield rates, or attendance. Your marketing manager helps define the most relevant metrics, and your web team member in your unit helps collect relevant campaign analytics.